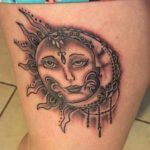 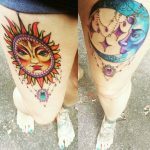 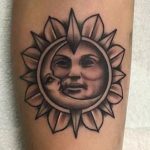 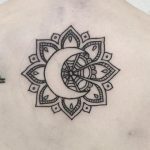 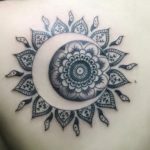 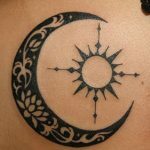 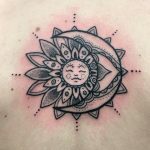 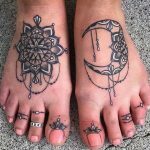 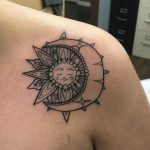 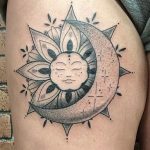 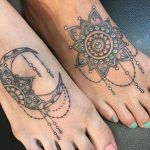 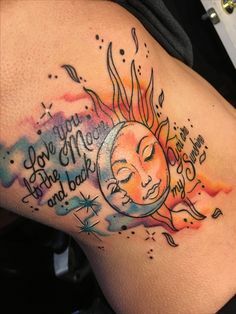 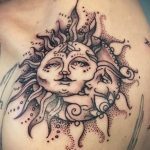 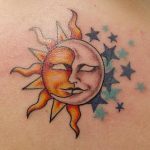 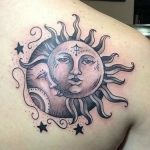 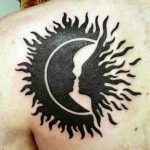 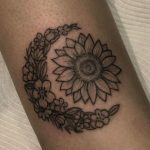 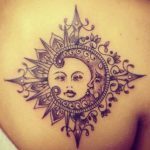 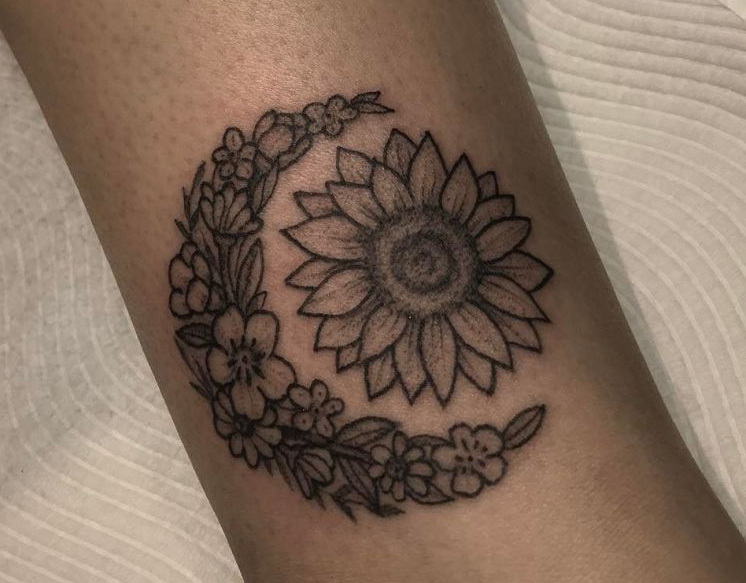 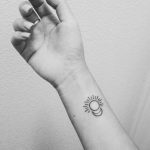 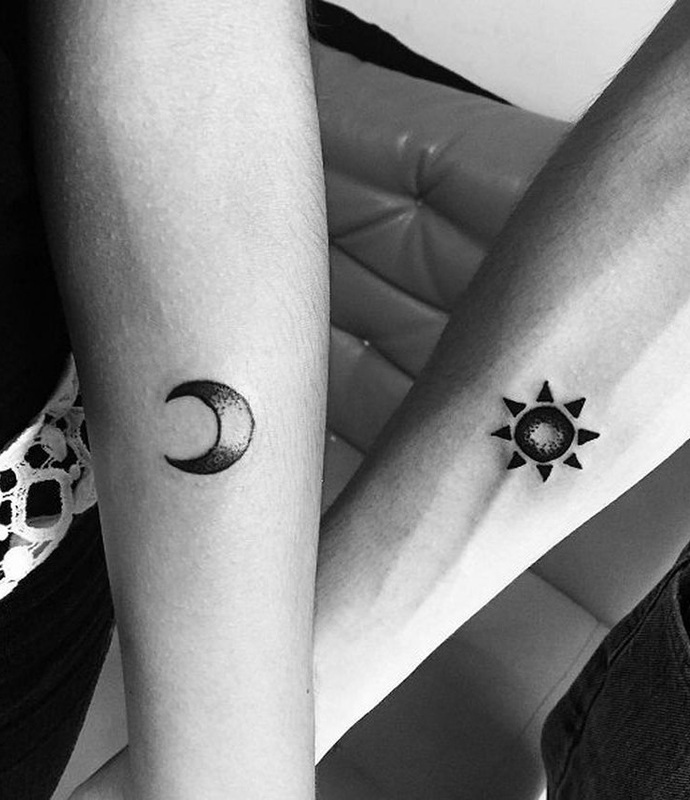 Sun and Moon tattoo is very popular with the couples and the lovers because it represents a very important and beautiful meaning. 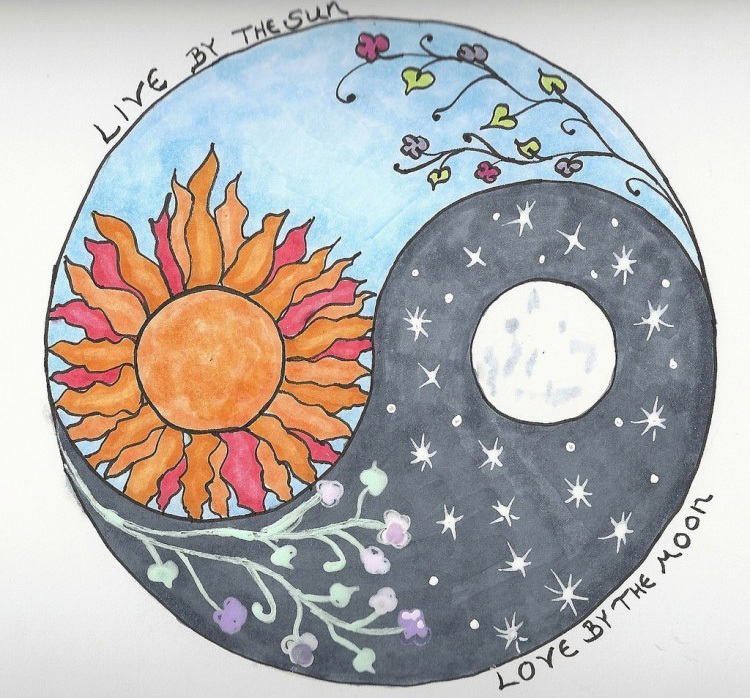 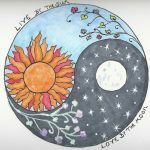 Together the Sun and the Moon represents Wholeness, Balance and Harmony. 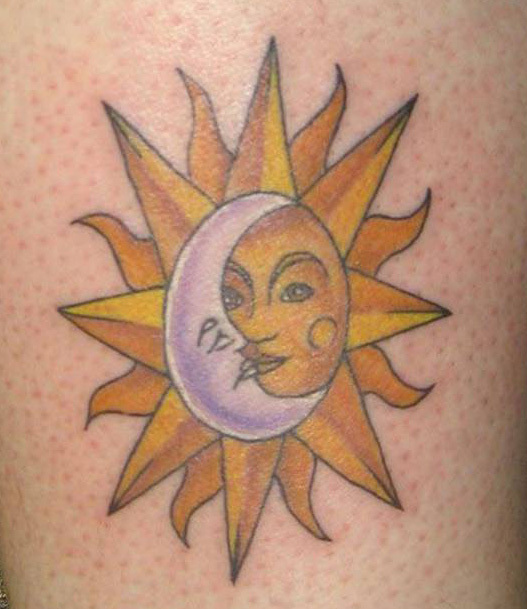 Sun represents masculinity and the Moon is the symbol of feminine energy. 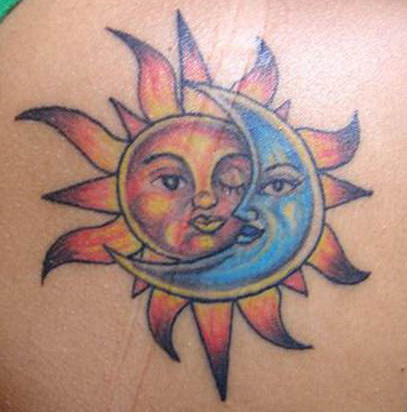 The Sun and Moon together resembles a divine unity of two opposites energies that complement each other. 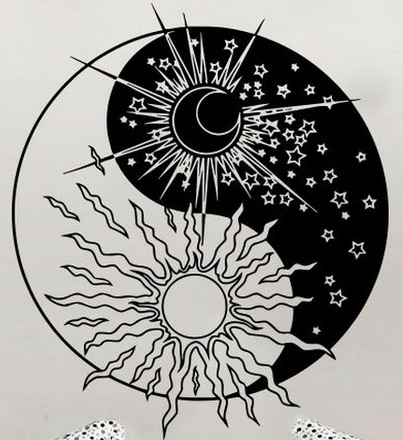 The Sun and the Moon have their individual independent qualities and nature. 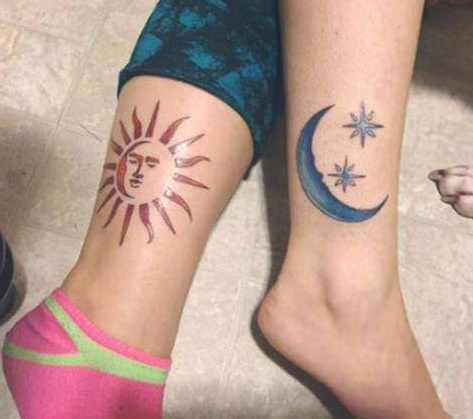 Sun gives us heat and Moon cools us down. 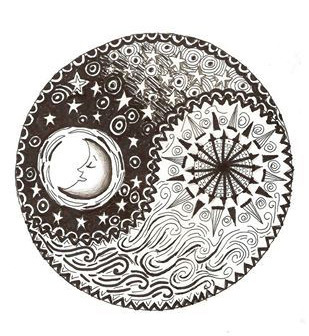 They are continuously balancing and re-balancing each other and creates a beautiful harmony. 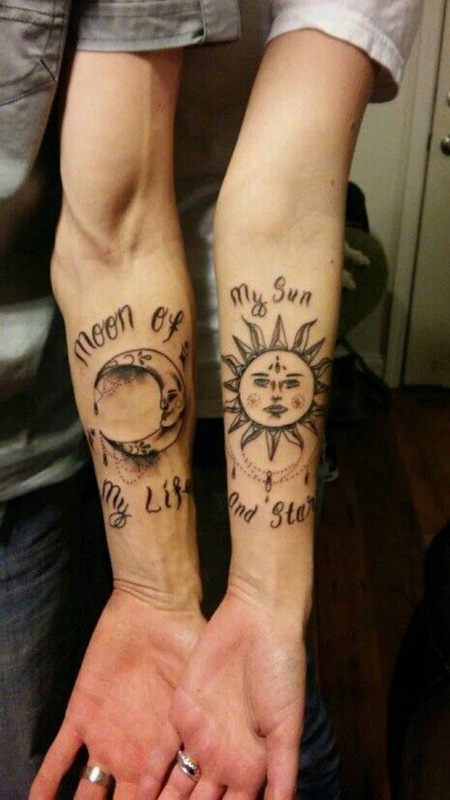 To express a meaning, tattoos don’t have to be loud or bright. 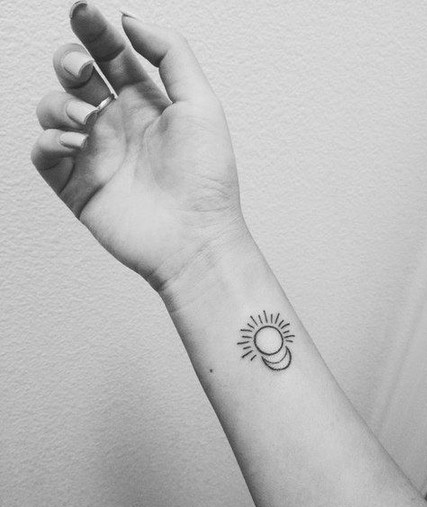 Minimalist tattoos are growing in trend because of their small designs, crisp lines and elegant looks. 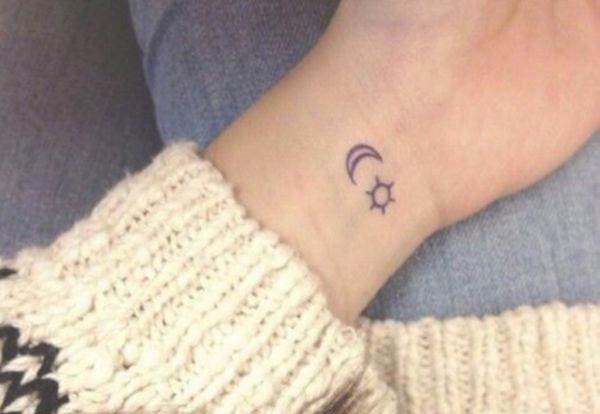 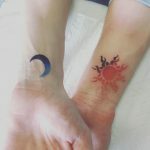 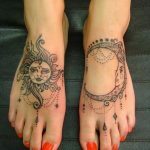 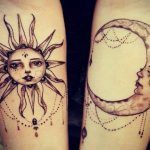 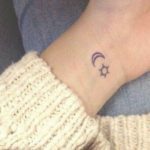 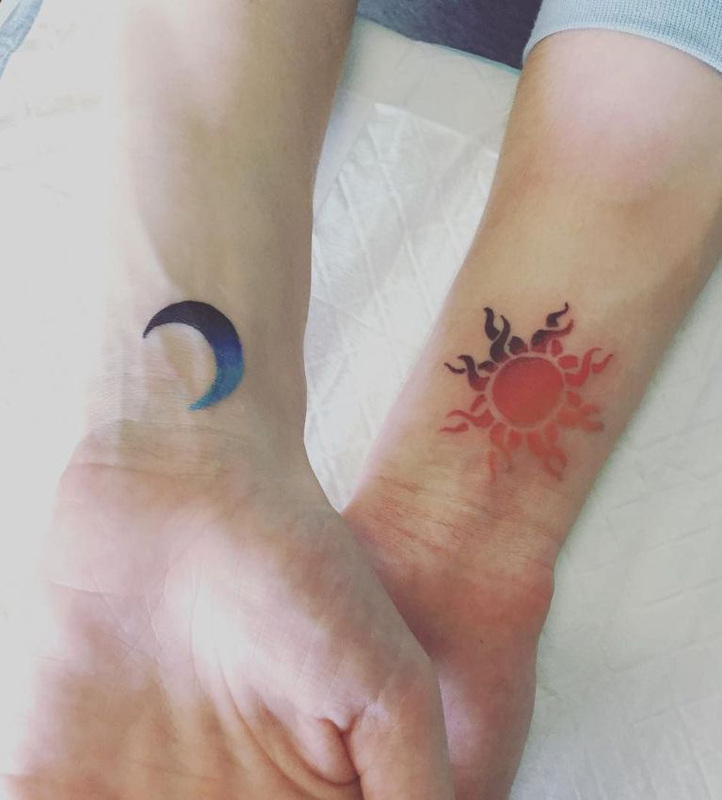 These tiny matching Sun and Moon inner wrist tattoos are easily concealed but still sweet, elegant and very stylish. 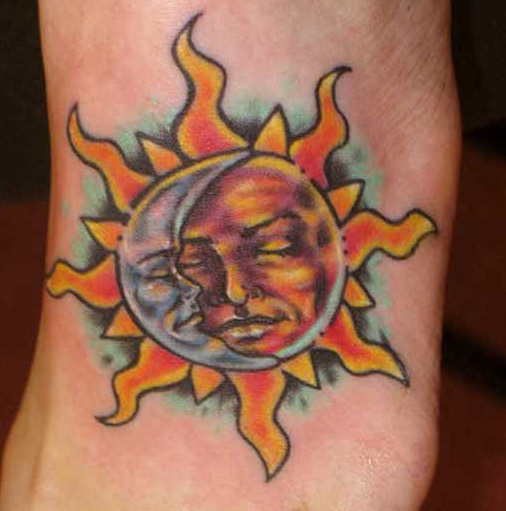 Pagan’s used the quote “Live by the sun and loved by the moon” to explain divinity of the nature and harmony of life. 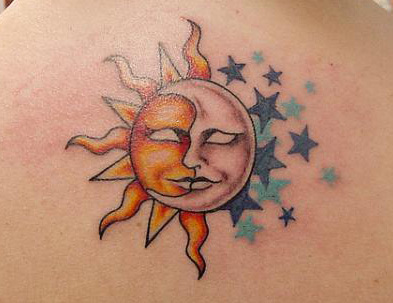 The moon absorbs the heat by embracing the sun and helps the sun to cool down. 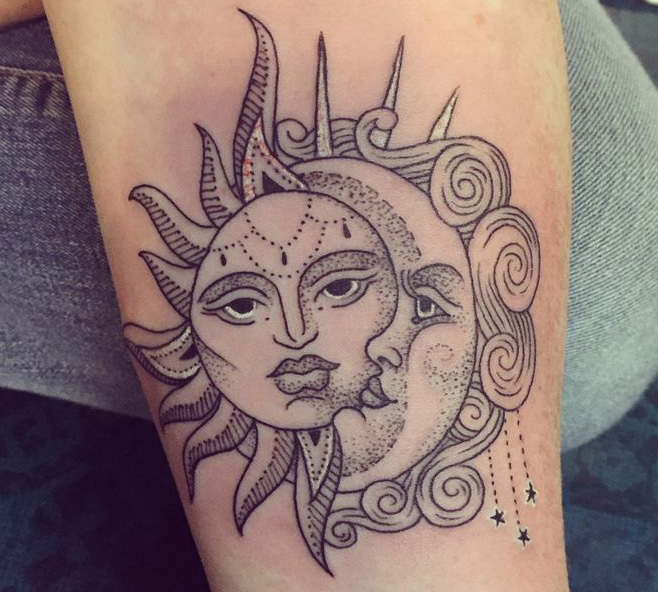 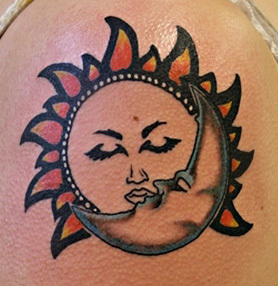 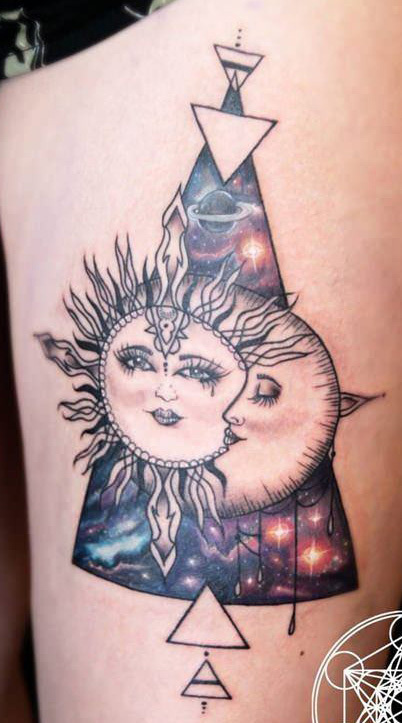 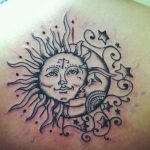 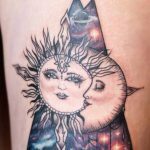 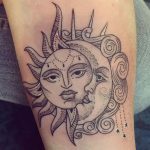 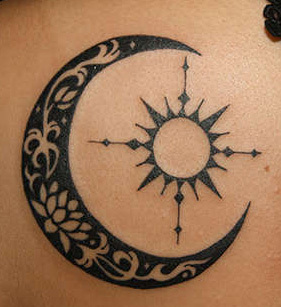 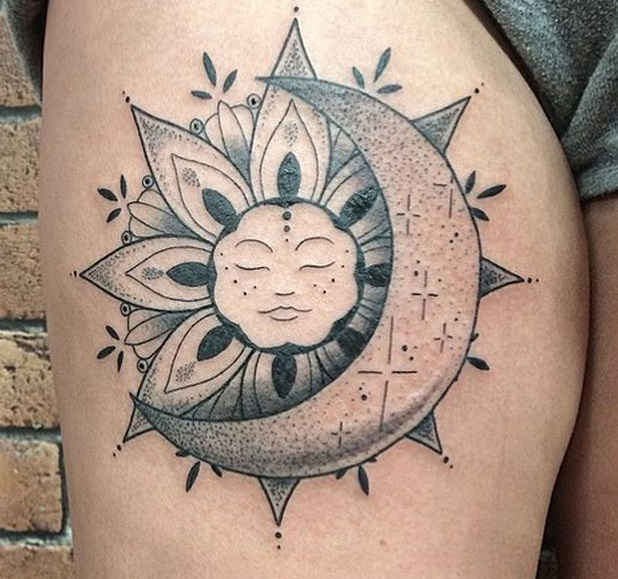 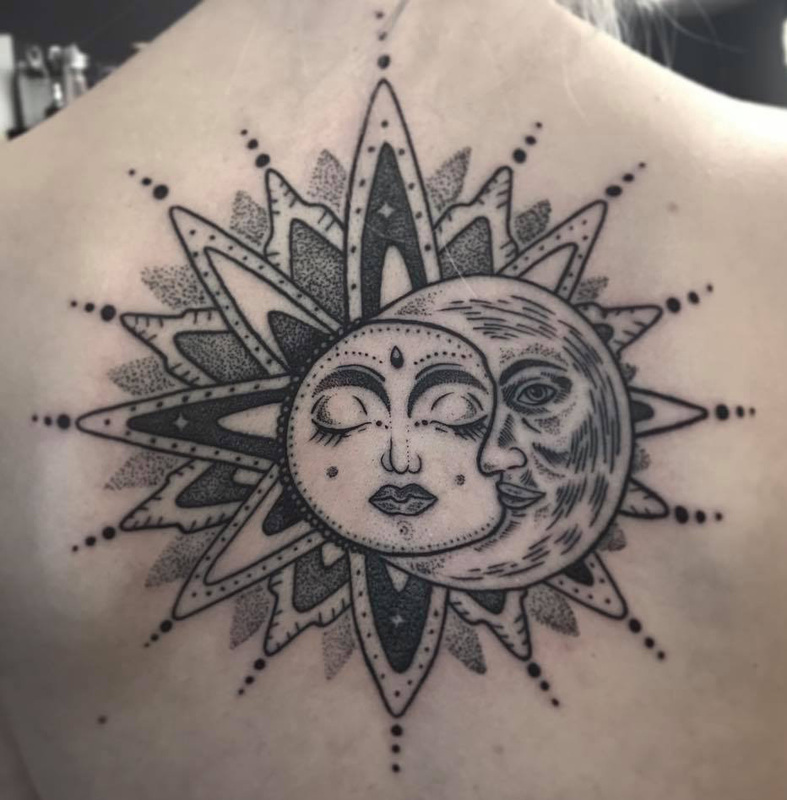 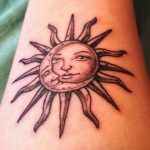 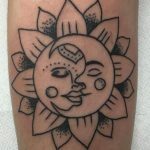 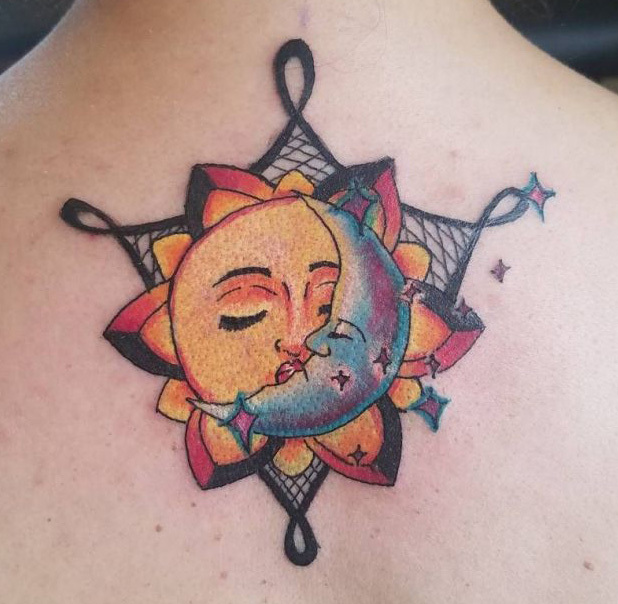 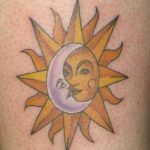 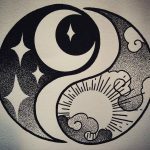 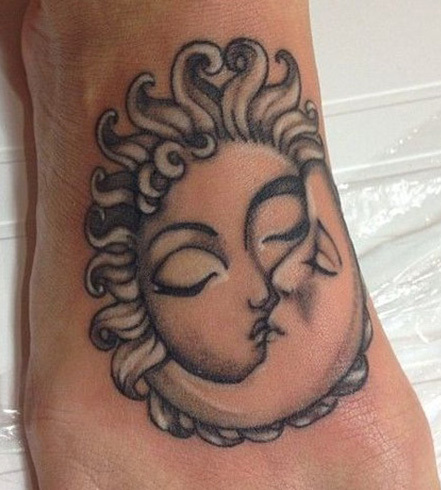 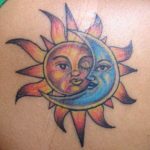 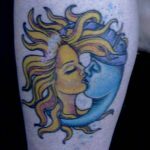 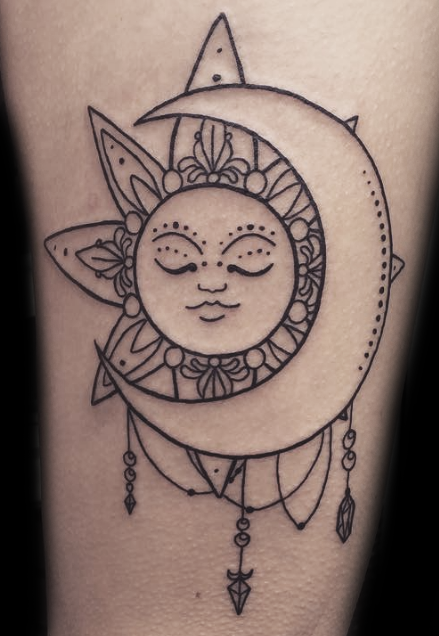 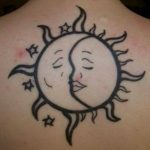 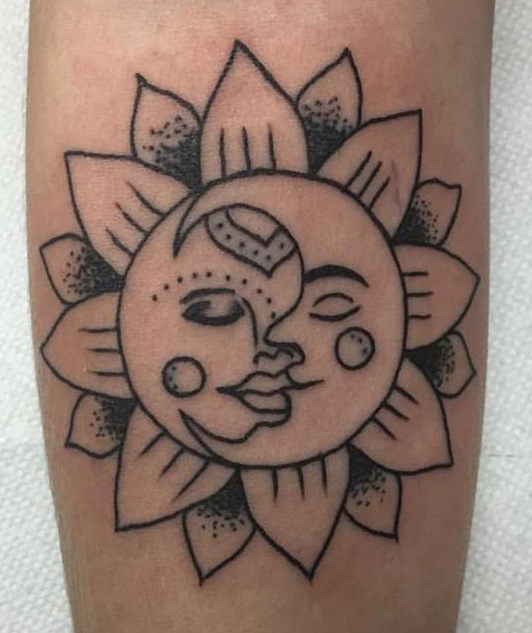 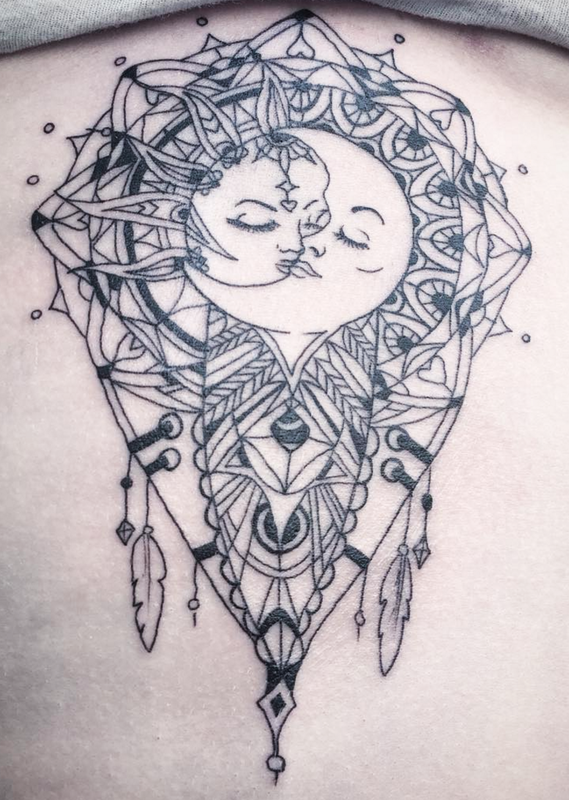 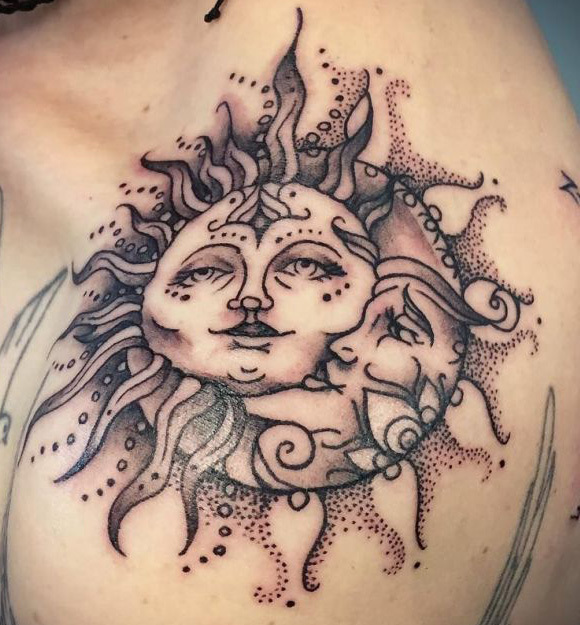 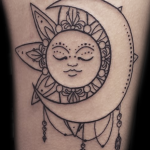 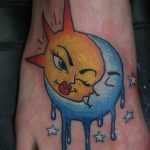 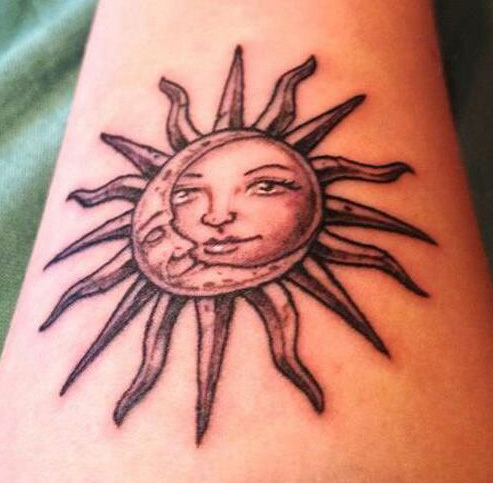 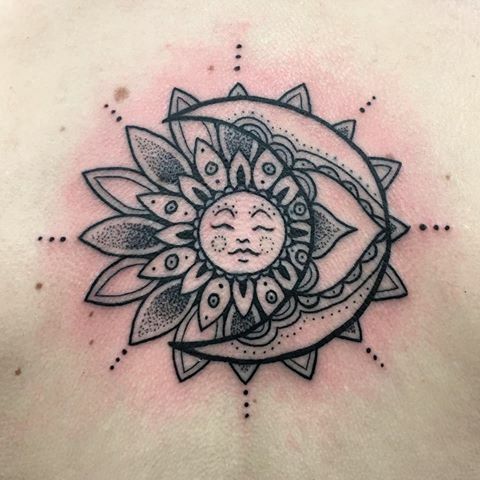 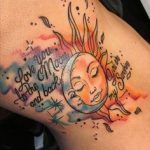 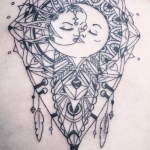 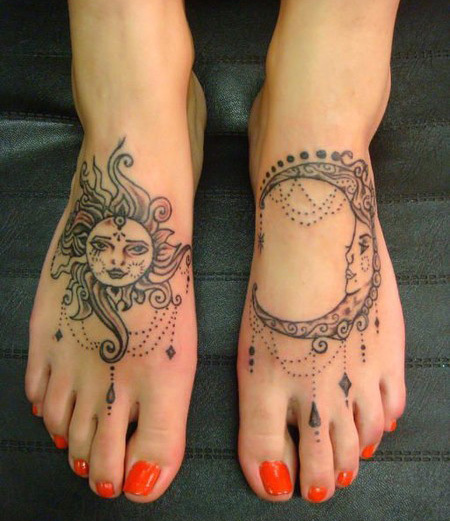 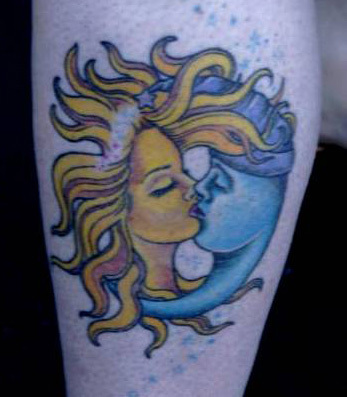 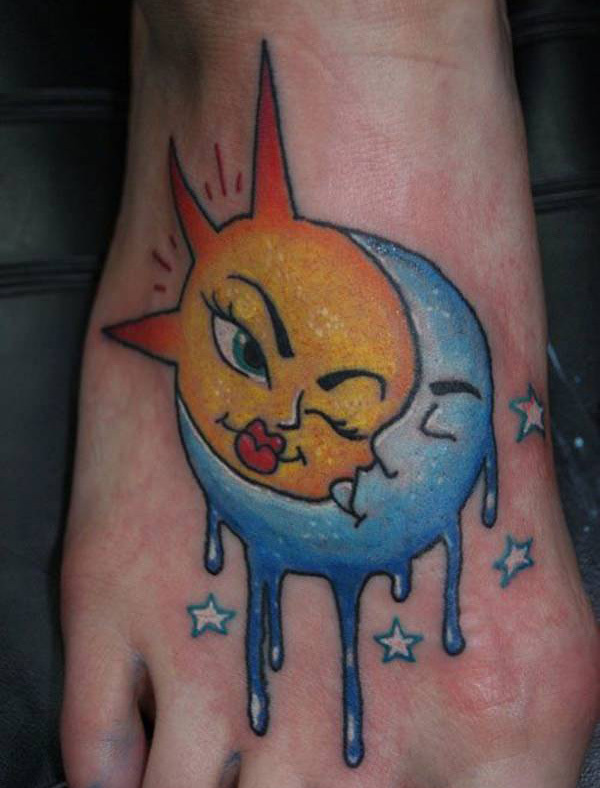 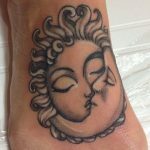 The sun and moon kissing tattoo design is often referred to as “The Lovers”. 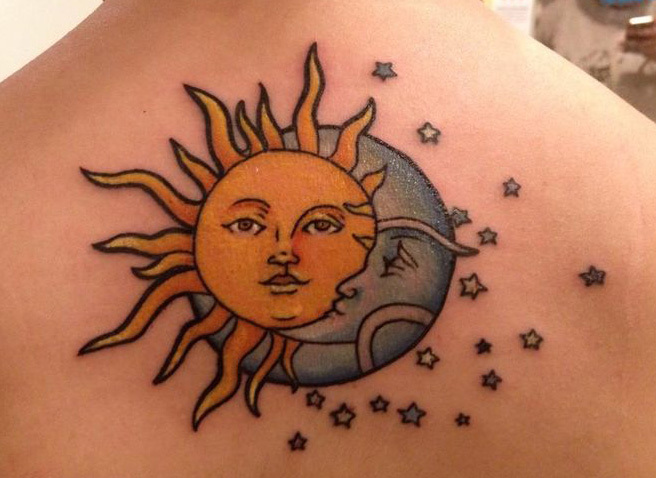 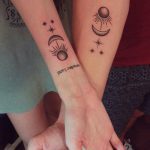 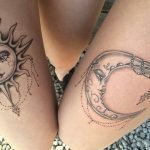 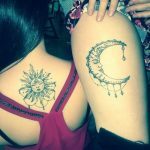 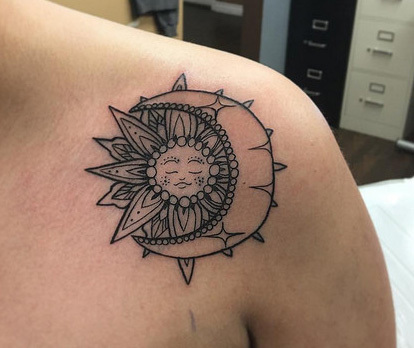 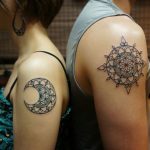 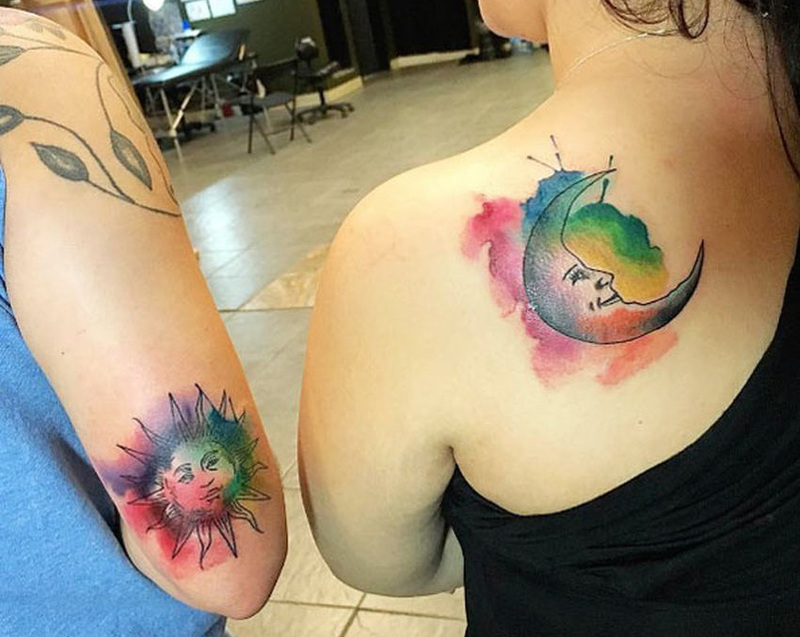 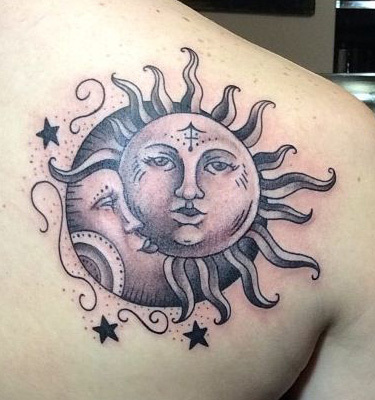 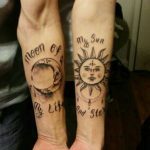 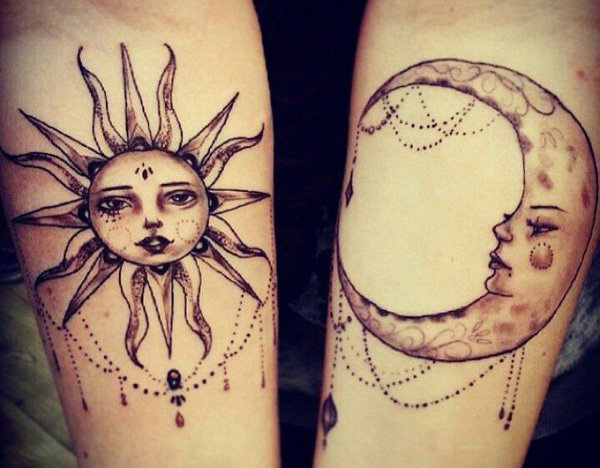 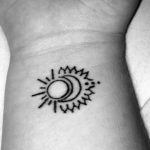 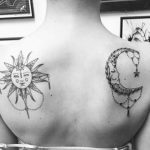 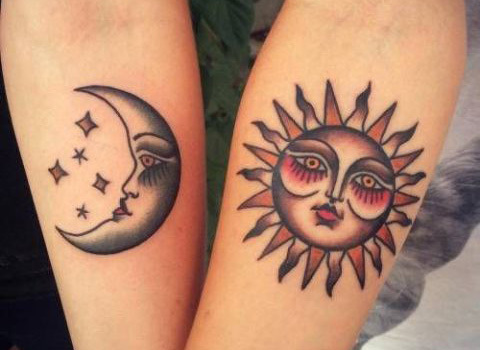 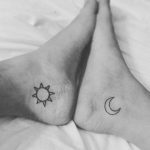 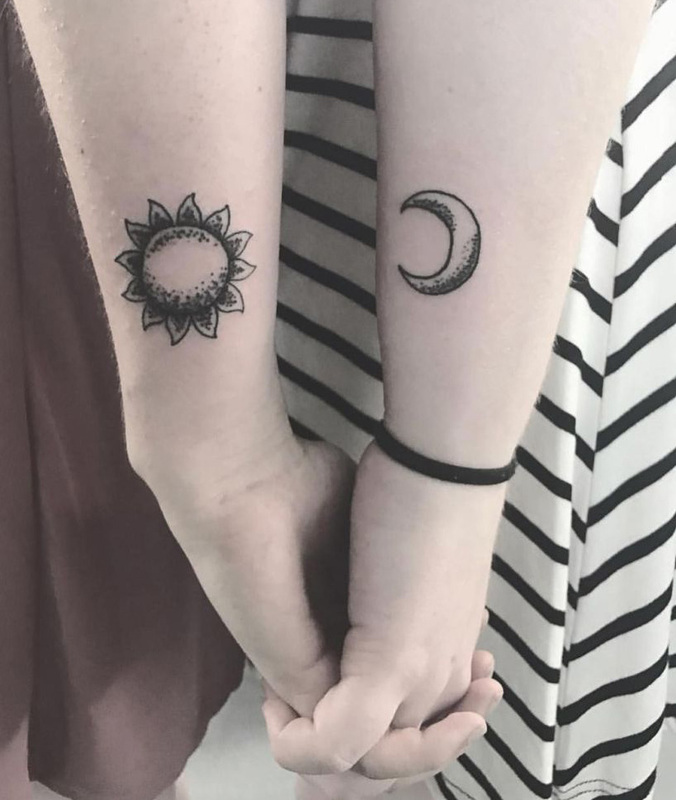 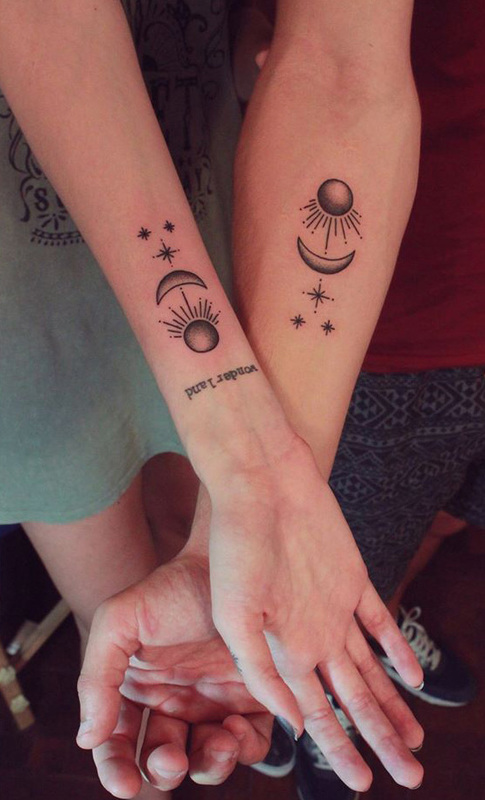 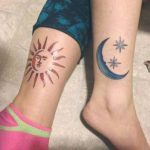 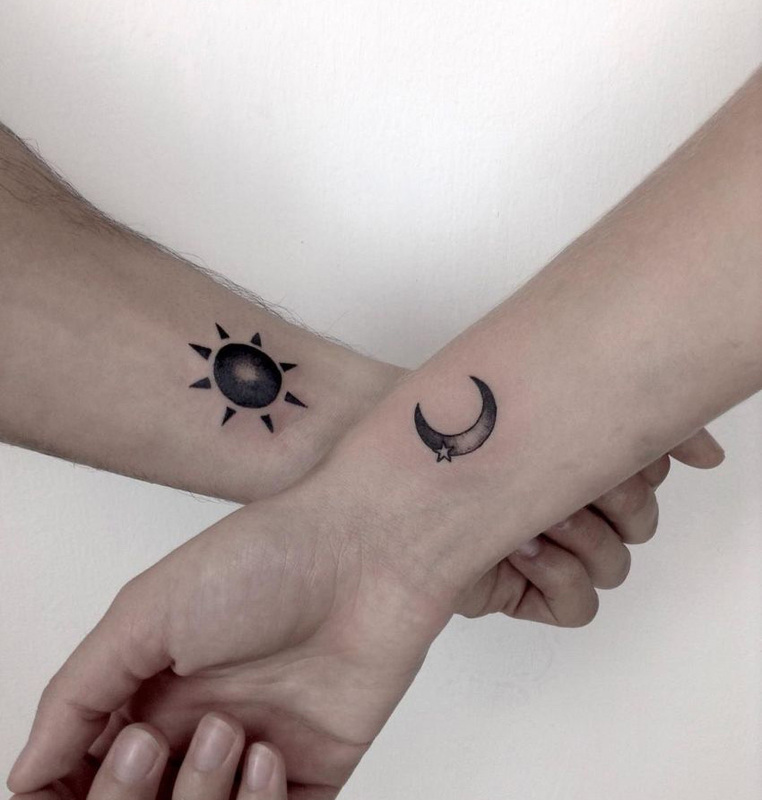 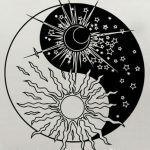 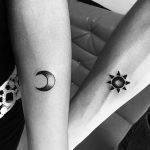 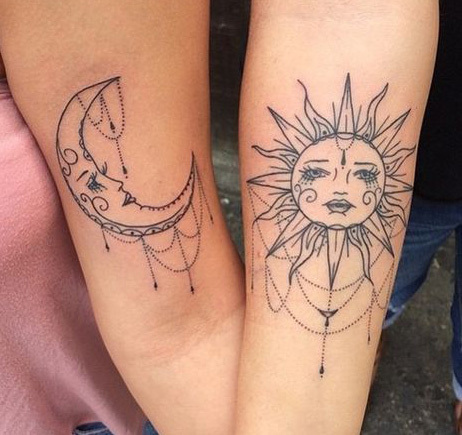 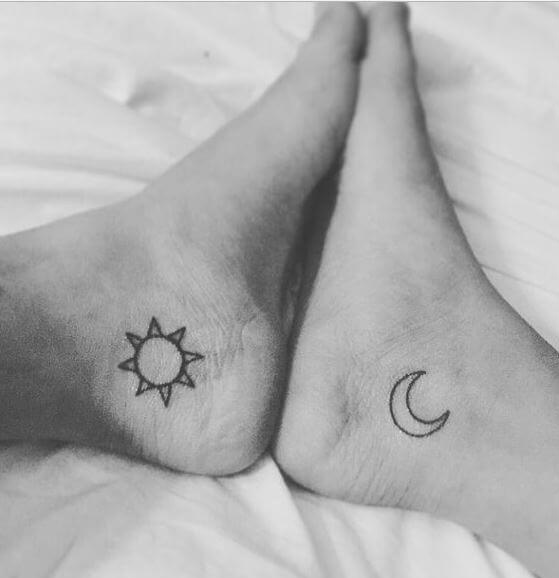 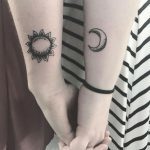 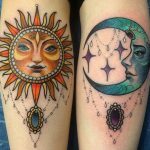 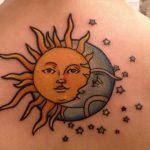 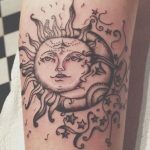 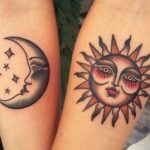 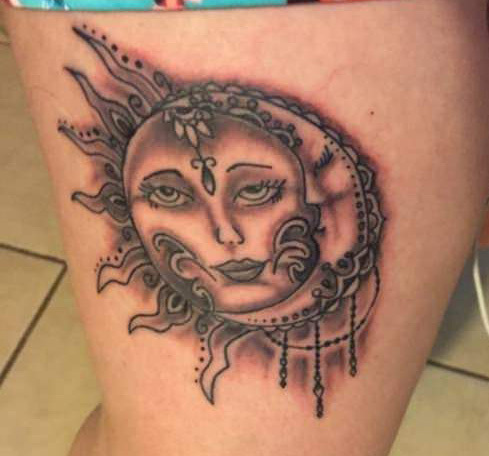 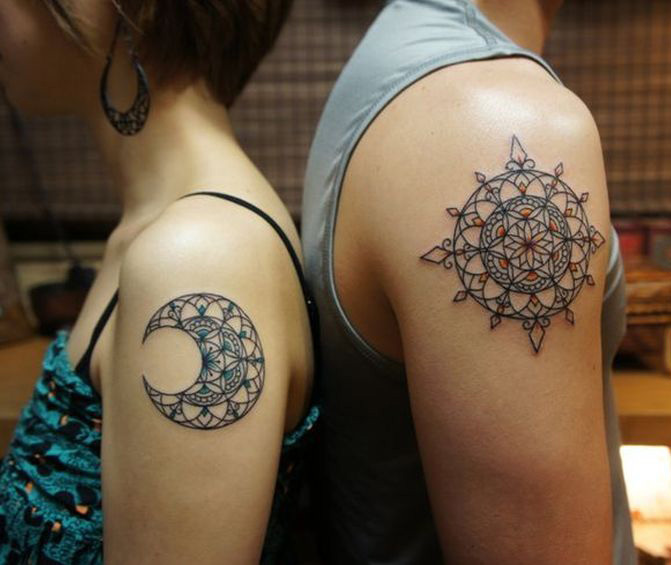 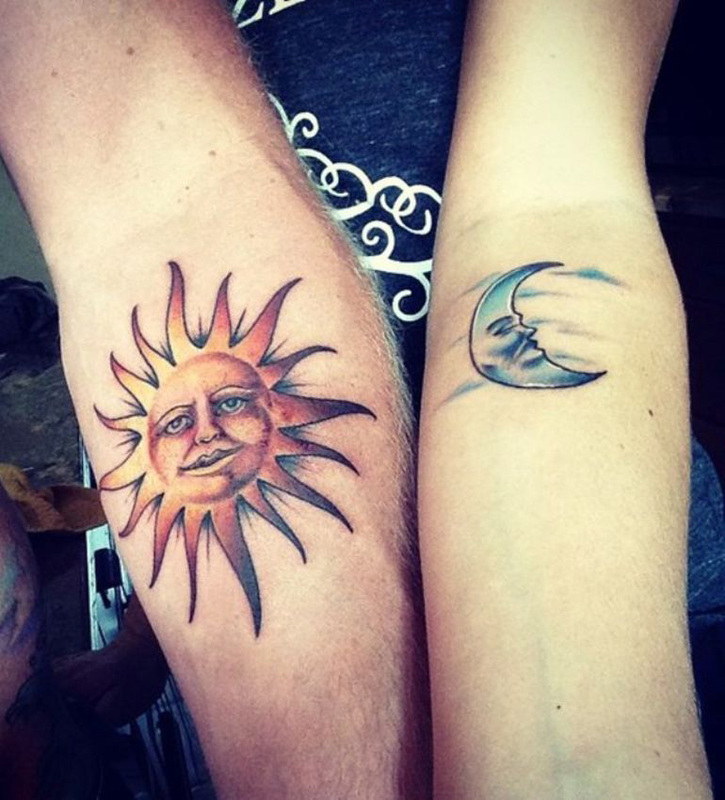 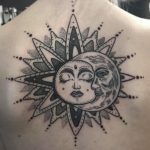 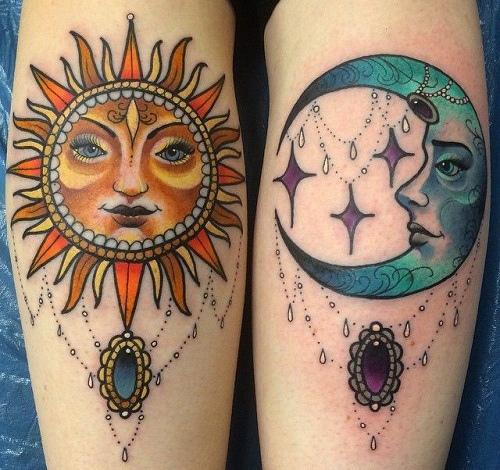 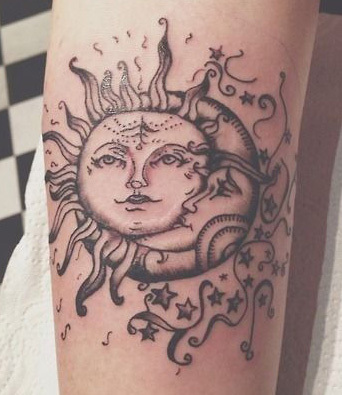 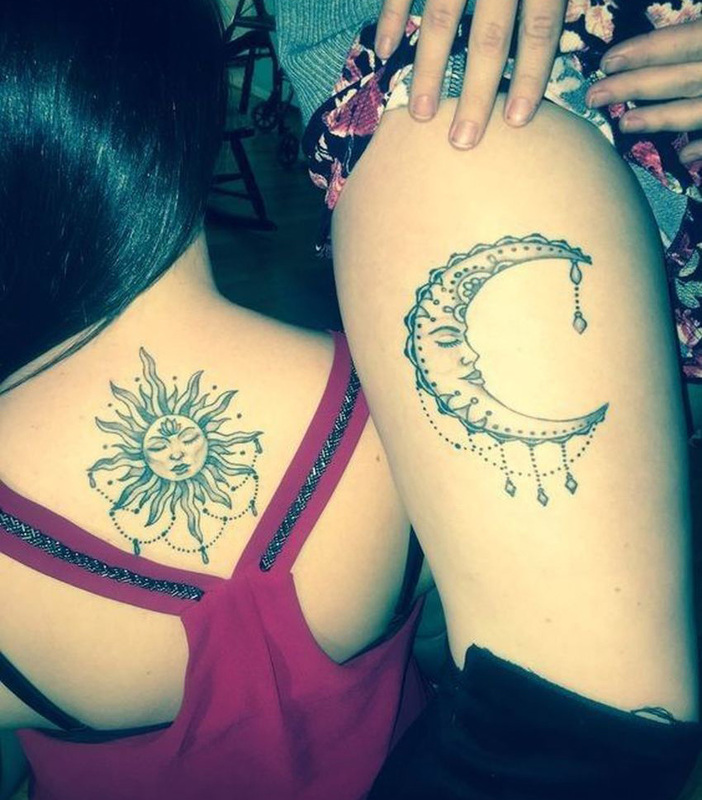 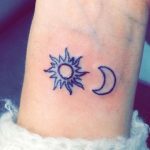 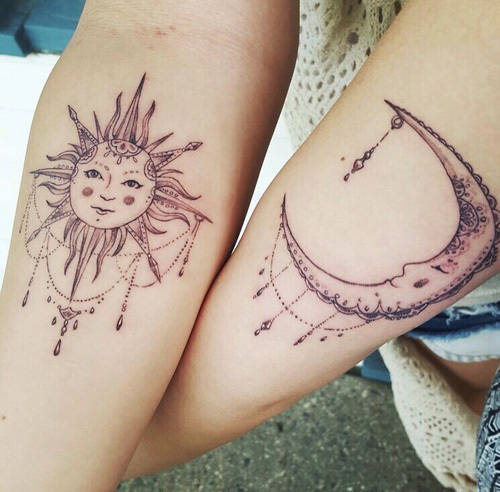 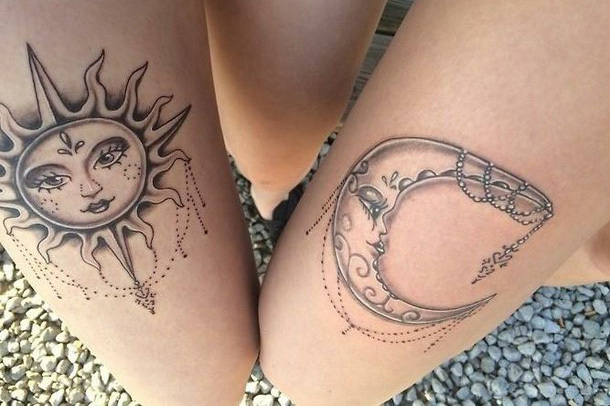 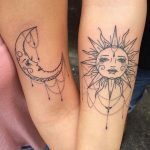 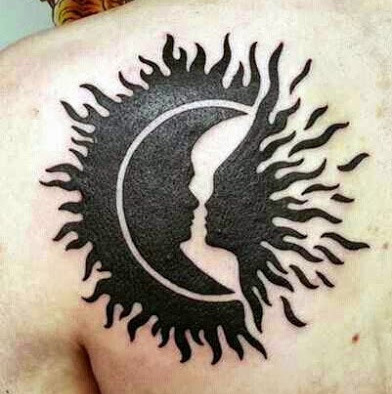 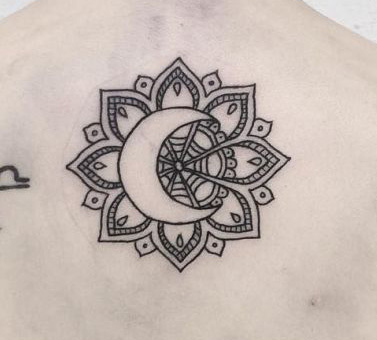 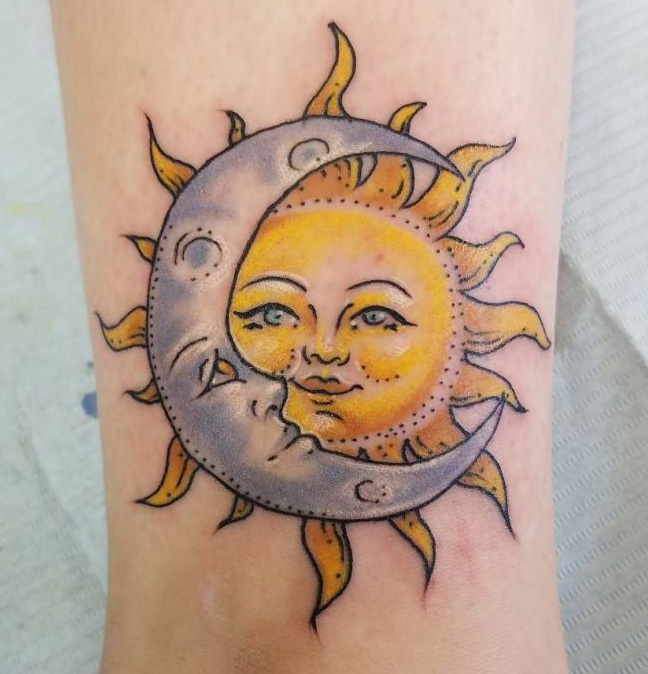 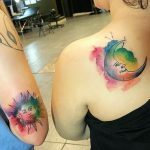 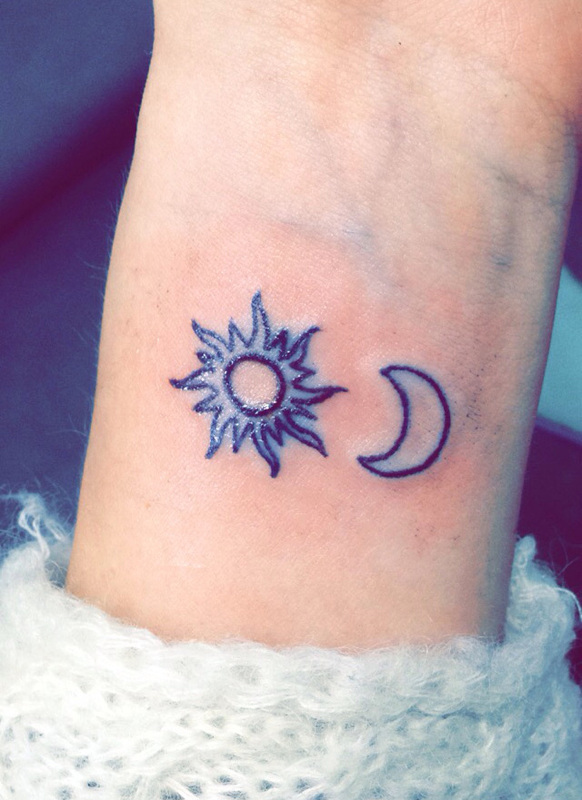 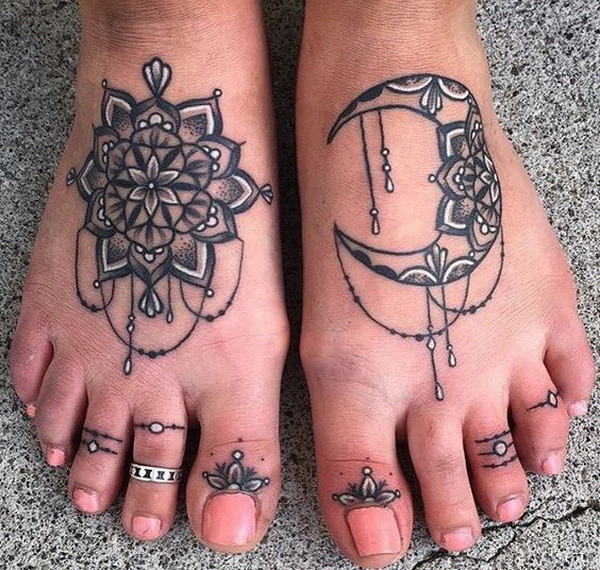 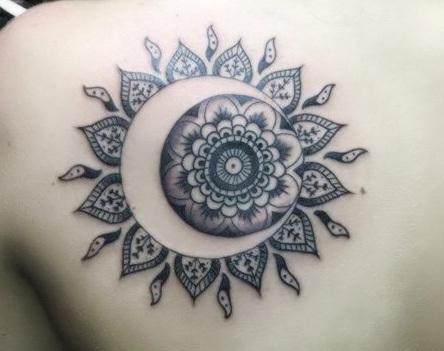 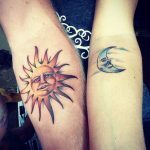 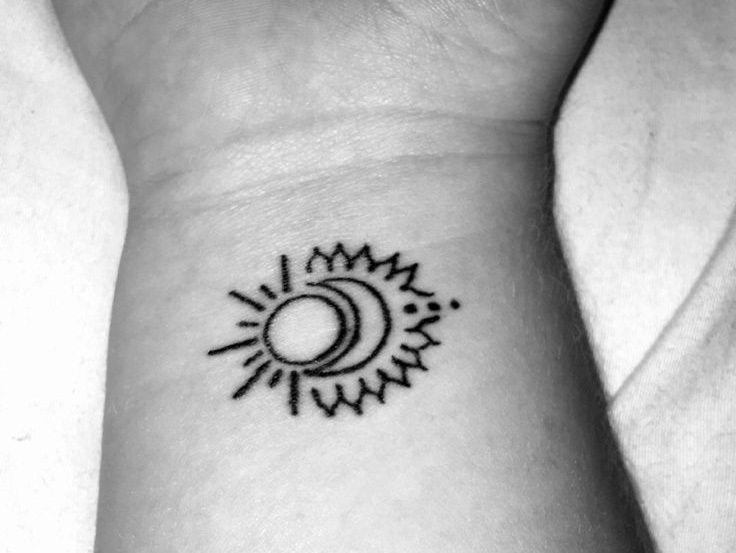 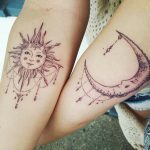 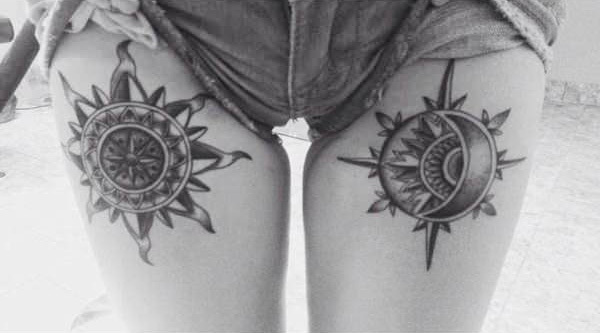 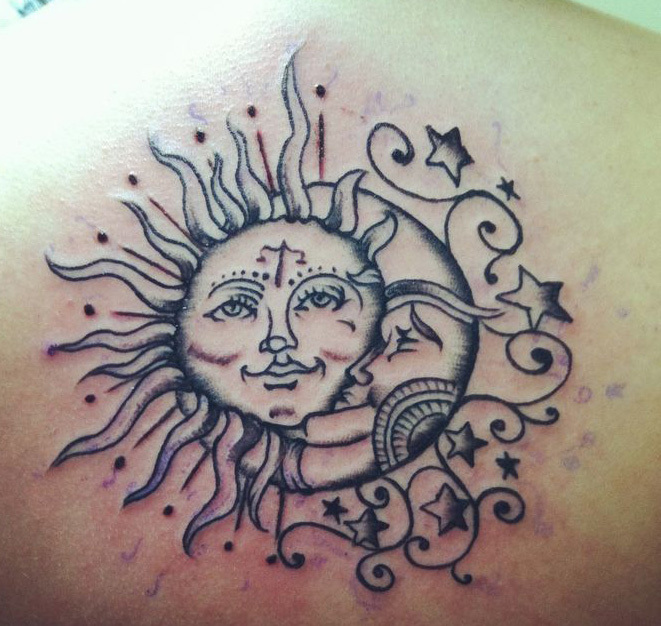 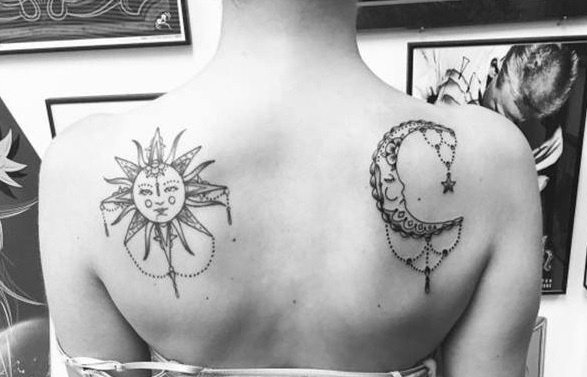 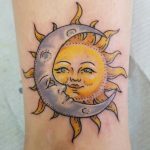 Sun and Moon matching tattoo is pretty popular with couples and best friends. 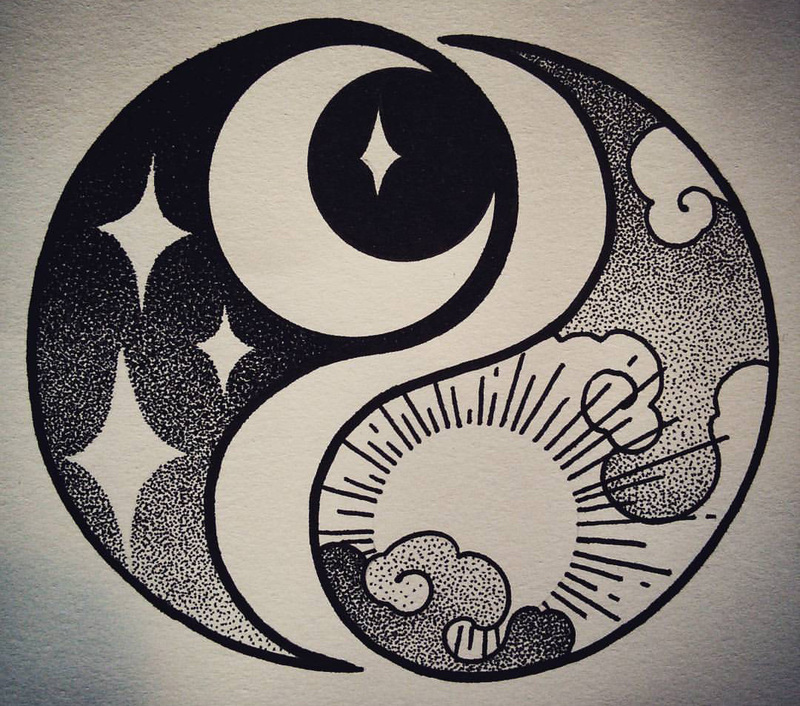 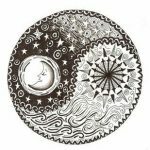 Sun and Moon incorporated in Yin and Yang symbols where sun is placed in the yang half of the symbol and moon in the yin the other half.